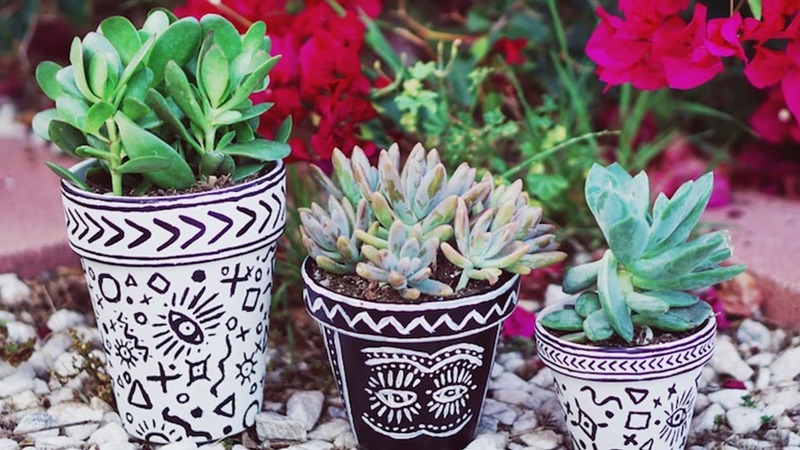 Our Lady Grouplove Collection has inspired us in so many ways to be creative and artistic. 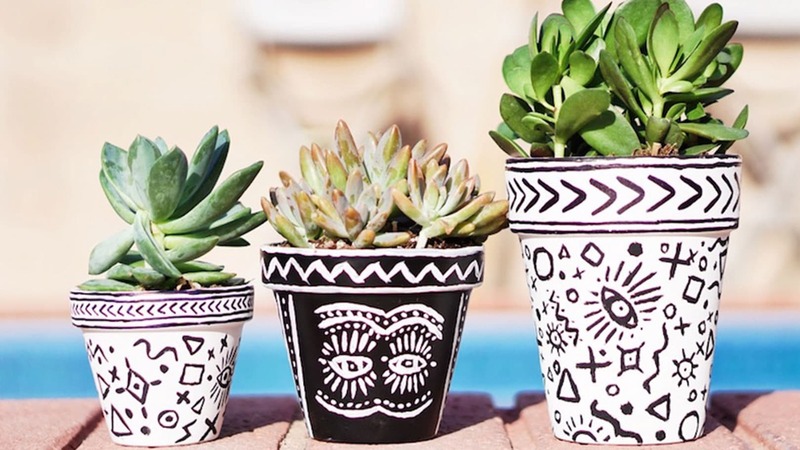 For this DIY, we reached inside ourselves to find our “artistic abilities” and used those creative juices to make these rad LGL inspired pots. This project is best done outdoors. Make sure you have a smooth surface to work on. 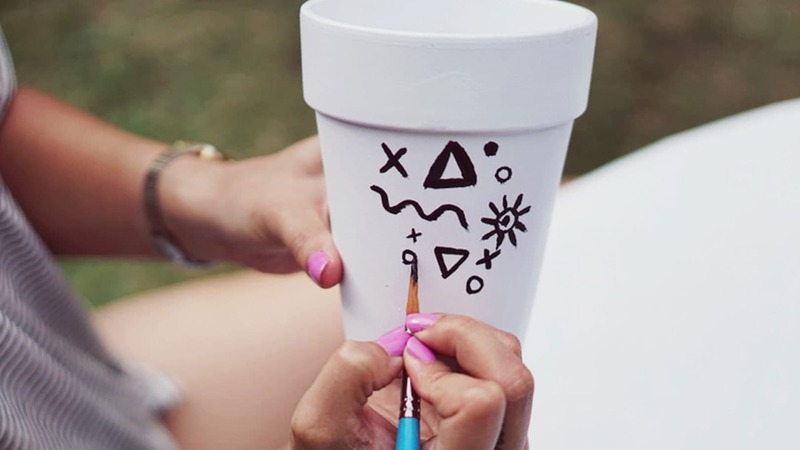 Lay down some newspaper or anything lying around so as not to get spray paint on anything. 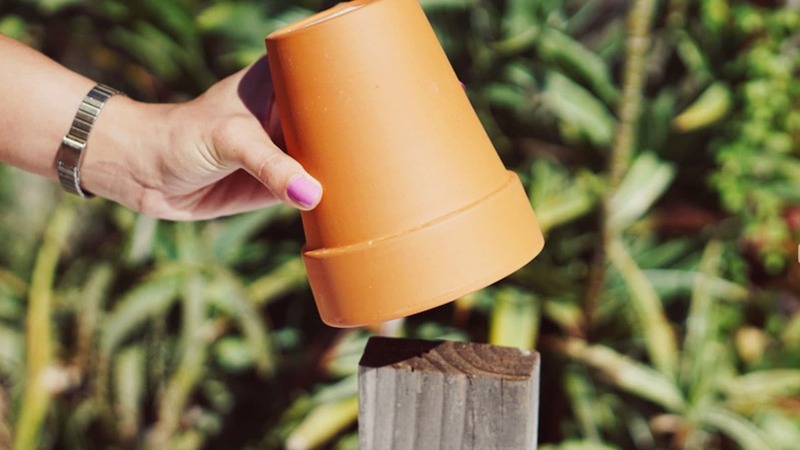 To help get every inch of the pot evenly sprayed, place a brick or plank of wood down and place the pot on top. 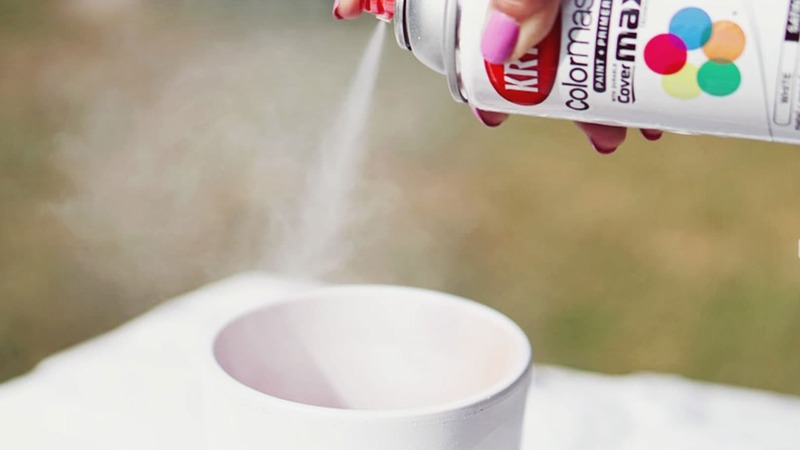 Spray the pot at least 10 inches away from the pot and lightly coat with color. 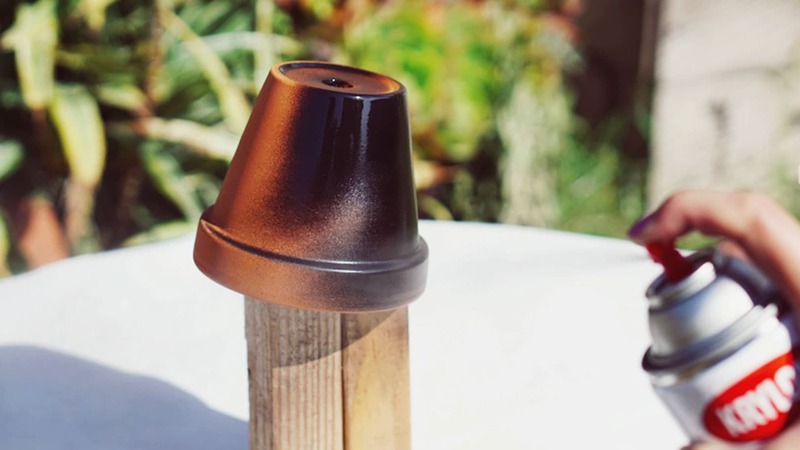 You want even layers so as not to make drip marks on the pot. 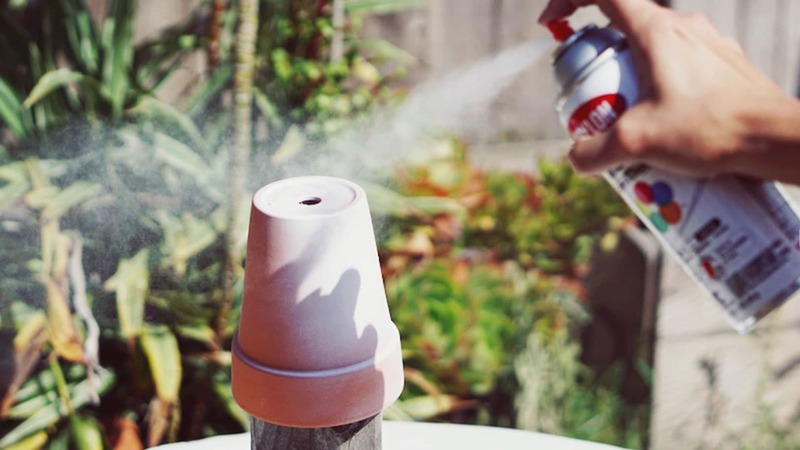 Once you’ve completed spray painting the outside of the pot, let it dry for a few minutes. 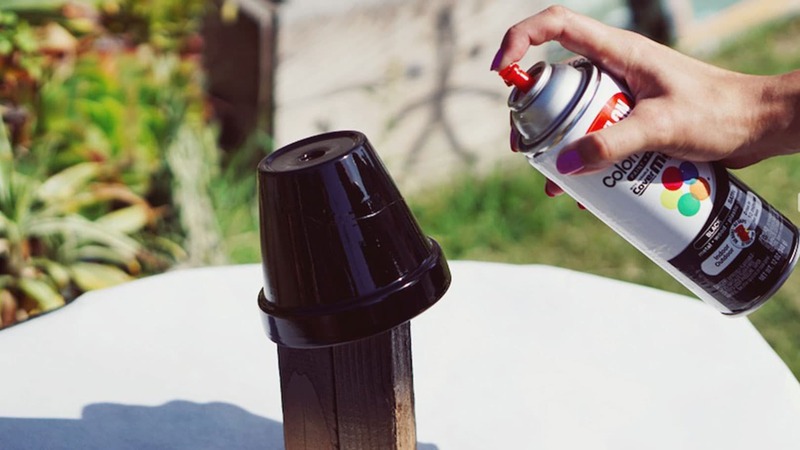 Once dry, place the pot right side up on the table and spray paint the inside. Set aside and let dry overnight. 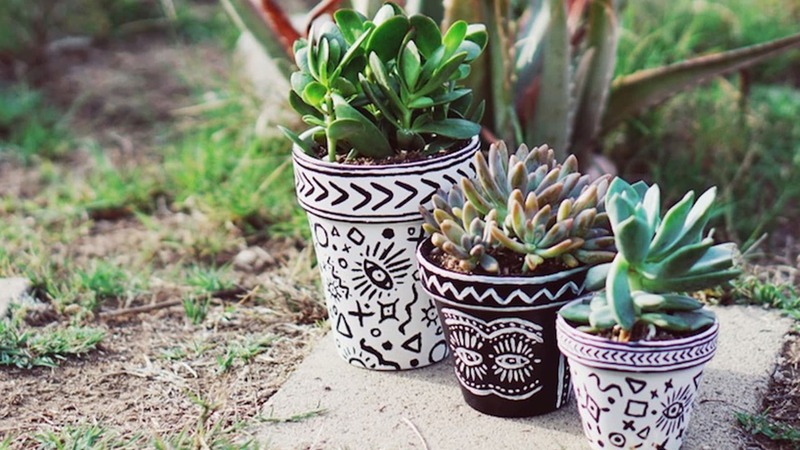 Once all of your pots have dried, you can start the painting process! For this part, we went to volcom.com/ladygrouplove and looked at which pieces we wanted to recreate. Not every paint stroke was perfect, but we felt it added charm and once it was all finished it looked great! Our Tip:: Go slowly. 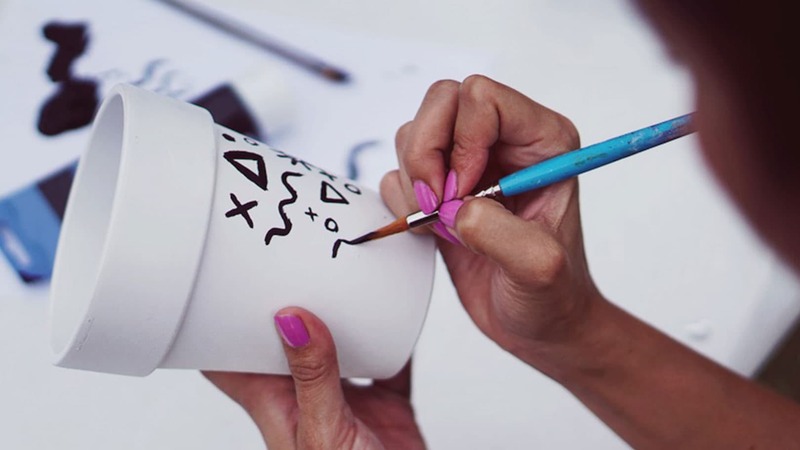 Sometimes the paintbrush has a mind of its own, so if you want straight lines, take your time. The finished product! Lady Grouplove Volcom pieces which inspired this post!